California Gov. Jerry Brown has approved legislation that requires all remaining school buses in operation statewide that are not equipped with lap-shoulder seat belts, to be off the road by July 1, 2035. Assembly Bill 1798, which was introduced in January by Rep. Judy Chu, passed the Assembly on Aug. 10 and was signed into law on Monday. California has required three-point seat belts on all newly purchased small school buses since 2004 and on large buses since 2005. But a Senate floor analysis filed on Aug. 8 reported that about 45 percent of the statewide fleet was older than the 2005 model year, and were operating without the occupant restraint systems, as of 2016, according to California Highway Patrol data. The data noted that CHP estimates that about 90 percent of all school buses will be equipped with the lap-and-shoulder belts by 2025, based on current school district replacement cycles. There is no statute in California that requires school buses to be replaced at a certain age or mileage. Instead, individual school districts decide on the replacement cycle, as school bus transportation is provided by choice, except when transporting students with disabilities. 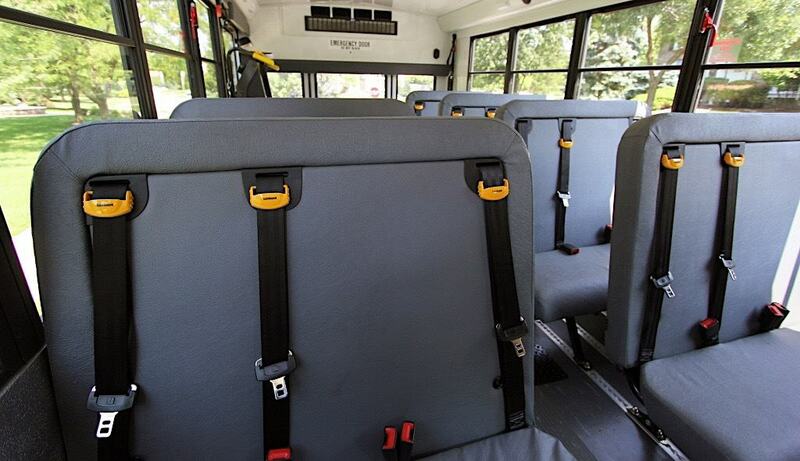 A bill introduced last year by Chu would have required school districts to create and submit to CHP, as well as the California Department of Education, a plan on equipping their entire fleets of school buses with three-point seat belts. That bill did not make it out of the Senate Appropriations Committee.